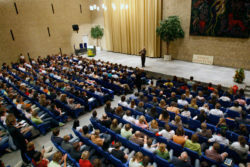 In 2007, the American political philosopher Michael Sandel held the first Nexus Masterclass for students and employees of Tilburg University, in honour of the university’s 80th anniversary. 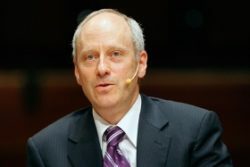 After his introduction on the ethics of creating the Perfect Man, Sandel engaged the audience in a lively debate by confronting it with ‘impossible’ ethical dilemmas. Nexus Masterclass 2007: Should we strive to create the Perfect Man?